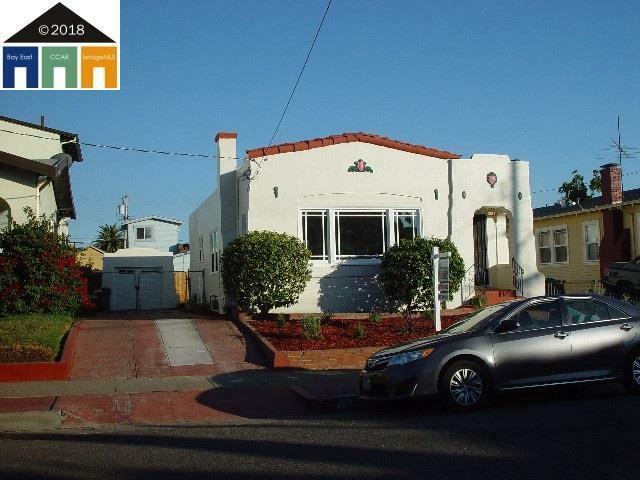 1,187 sq ft; lot: 4356 sq ft - MLS# 40835036 Courtesy of Jbw Management Group Inc.
Remodeled/renovated throughout with city permits. New electrical sys including main panel and subpanel, copper plumbing, central heating, wood dual paned windows, roof, remodeled car garage, drywall, insulations, recessed lights and dimmers, beautiful bath, stainless steel appliances, redwood deck and stairs, new wood fence and landscaping, built-in cabinets, and many more. See it to believe. Original artwork maintained. Elegant arches. Handcrafted ceiling textures. Open kitchen and floor plan with efficient layout. Recent sewer lateral compliance. All work carefully designed by owner and completed by both experienced contractors and owner. Potential to expand or build in-law unit. Easy to access freeway 580/880/13. As-is sale. Courtesy of Jbw Management Group Inc.